Closed Circuit Television Systems (CCTVS) are installed in Rathnure NS. New CCTV systems will be introduced in consultation with staff, the board of management and the parents association. Where systems are already in operation, their operation will be reviewed regularly in consultation with staff, the board of management and the parents association. “The purpose of this policy is to regulate the use of Closed Circuit Television and its associated technology in the monitoring of both the internal and external environs of the premises under the remit of Rathnure NS. ensuring that the school rules are respected so that the school can be properly managed. This policy relates directly to the location and use of CCTV and the monitoring, recording and subsequent use of such recorded material. Where classes and activities are carried out in rented premises, Rathnure NS will ensure that CCTV systems, where installed, are operated only in a way that is compatible with the provisions of this policy. Rathnure NS as the corporate body has a statutory responsibility for the protection of its property, equipment and other plant as well providing a sense of security to its employees, students and invitees to its premises. Rathnure NS owes a duty of care under the provisions of Safety, Health and Welfare at Work Act 2005 and associated legislation and utilises CCTV systems and their associated monitoring and recording equipment as an added mode of security and surveillance for the purpose of enhancing the quality of life of the school community by integrating the best practices governing the public and private surveillance of its premises. Information obtained through the CCTV system may only be released when authorised by the Principal, following consultation with the Chairperson of the Board of Management. Any requests for CCTV recordings/images from An Garda Síochána will be fully recorded and legal advice will be sought if any such request is made. (See “Access” below). If a law enforcement authority, such as An Garda Síochána, is seeking a recording for a specific investigation, An Garda Síochána may require a warrant and accordingly any such request made by An Garda Síochána should be requested in writing and the school will immediately seek legal advice. CCTV monitoring of public areas for security purposes will be conducted in a manner consistent with all existing policies adopted by the school, including Equality & Diversity Policy, Dignity at Work Policy, Codes of Practice for dealing with complaints of Bullying & Harassment and Sexual Harassment and other relevant policies, including the provisions set down in equality and other educational and related legislation. Video monitoring of public areas for security purposes within school premises is limited to uses that do not violate the individual’s reasonable expectation to privacy. All CCTV systems and associated equipment will be required to be compliant with this policy following its adoption by Rathnure NS. Recognisable images captured by CCTV systems are “personal data.” They are therefore subject to the provisions of the Data Protection Acts 1988 and 2003. Section 2(1)(c)(iii) of the Data Protection Acts requires that data is “adequate, relevant and not excessive” for the purpose for which it is collected. This means that Rathnure NS needs to be able to justify the obtaining and use of personal data by means of a CCTV system. The use of CCTV to control the perimeter of the school buildings for security purposes has been deemed to be justified by the board of management. The system is intended to capture images of intruders or of individuals damaging property or removing goods without authorisation. CCTV systems will not be used to monitor normal teacher/student classroom activity in school. In other areas of the school where CCTV has been installed, e.g. hallways, stairwells, locker areas, the Principal has demonstrated that there is a proven risk to security and/or health & safety and that the installation of CCTV is proportionate in addressing such issues that have arisen prior to the installation of the system. The location of cameras is a key consideration. Use of CCTV to monitor areas where individuals would have a reasonable expectation of privacy would be difficult to justify. Rathnure NS has endeavoured to select locations for the installation of CCTCV cameras which are least intrusive to protect the privacy of individuals. Cameras placed so as to record external areas are positioned in such a way as to prevent or minimise recording of passers-by or of another person’s private property. Protection of school buildings and property: The building’s perimeter, entrances and exits, lobbies and corridors, special storage areas. Rathnure NS will not engage in covert surveillance. The Principal will provide a copy of this CCTV Policy on request to staff, students, parents and visitors to the school. This policy describes the purpose and location of CCTV monitoring, a contact number for those wishing to discuss CCTV monitoring and guidelines for its use. The location of CCTV cameras will also be indicated to the Board of Management. Adequate signage will be placed at each location in which a CCTV camera(s) is sited to indicate that CCTV is in operation. Adequate signage will also be prominently displayed at the entrance to Rathnure NS property. Signage shall include the name and contact details of the data controller as well as the specific purpose(s) for which the CCTV camera is in place in each location. Images are being monitored and recorded for the purpose of crime-prevention, the prevention of anti-social behaviour, the prevention of bullying, for the safety of our staff and students and for the protection of Rathnure NS and its property. This system will be in operation 24 hours a day, every day. These images may be passed to An Garda Síochána. Section 2(1)(c)(iv) of the Data Protection Acts states that data “shall not be kept for longer than is necessary for” the purposes for which it was obtained. A data controller needs to be able to justify this retention period. For a normal CCTV security system, it would be difficult to justify retention beyond a month (28 days), except where the images identify an issue – such as a break-in or theft and those particular images/recordings are retained specifically in the context of an investigation/prosecution of that issue. The images/recordings will be stored in a secure environment with a log of access kept. Access will be restricted to authorised personnel. Supervising the access and maintenance of the CCTV System is the responsibility of the Principal. The Principal may delegate the administration of the CCTV System to another staff member. In certain circumstances, the recordings may also be viewed by other individuals in order to achieve the objectives set out above (such individuals may include the Gardai, the Deputy Principal, the relevant Year Head, other members of the teaching staff, representatives of the Department of Education and Skills, representatives of the HSE and/or the parent of a recorded student). When CCTV recordings are being viewed, access will be limited to authorised individuals on a need-to-know basis. Access to the CCTV system and stored images will be restricted to authorised personnel only i.e. Principal of school (or in the case of an ETB school/centre to the Head of the Centre and the CEO of the ETB). To individuals (or their legal representatives) subject to a court order. To the school’s insurance company where the insurance company requires same in order to pursue a claim for damage done to the insured property. Requests by An Garda Síochána: Information obtained through video monitoring will only be released when authorised by the Principal following consultation with the Chairperson of the Board of Management. If An Garda Síochána request CCTV images for a specific investigation, An Garda Síochána may require a warrant and accordingly any such request made by An Garda Síochána should be made in writing and the school should immediately seek legal advice. Access requests can be made to the following: Taragh Nolan, Principal, Rathnure NS, Enniscorthy, Co. Wexford. A person should provide all the necessary information to assist Rathnure NS in locating the CCTV recorded data, such as the date, time and location of the recording. If the image is of such poor quality as not to clearly identify an individual, that image may not be considered to be personal data and may not be handed over by the school. Ensure that the use of CCTV systems is implemented in accordance with the policy set down by Rathnure NS. 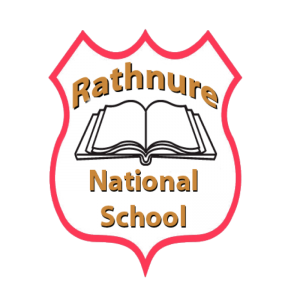 Oversee and co-ordinate the use of CCTV monitoring for safety and security purposes within Rathnure NS. Approve the location of temporary cameras to be used during special events that have particular security requirements and ensure their withdrawal following such events. NOTE: [Temporary cameras do not include mobile video equipment or hidden surveillance cameras used for authorised criminal investigations by An Garda Síochána]. Ensure that images recorded on tapes/DVDs/digital recordings are stored for a period not longer than 28 days and are then erased unless required as part of a criminal investigation or court proceedings (criminal or civil) or other bona fide use as approved by the Chairperson of the Board or, in the case of an ETB school, by the CEO on behalf of the ETB. Ensure that where An Garda Síochána request to set up mobile video equipment for criminal investigations, legal advice has been obtained and such activities have the approval of the Chairperson of the Board. The school has a written contract with the security company in place which details the areas to be monitored, how long data is to be stored, what the security company may do with the data, what security standards should be in place and what verification procedures apply. The written contract also states that the security company will give the school/ETB all reasonable assistance to deal with any subject access request made under section 4 Data Protection Acts 1988 and 2003 which may be received by the school within the statutory time-frame (generally 40 days). Security companies that place and operate cameras on behalf of clients are considered to be “Data Processors.” As data processors, they operate under the instruction of data controllers (their clients). Sections 2(2) and 2C of the Data Protection Acts place a number of obligations on data processors. These include having appropriate security measures in place to prevent unauthorised access to, or unauthorised alteration, disclosure or destruction of, the data, in particular where the processing involves the transmission of data over a network and against all unlawful forms of processing. This obligation can be met by having appropriate access controls to image storage or having robust encryption where remote access to live recording is permitted. Staff of the security company have been made aware of their obligations relating to the security of data. See Content of the Service Agreement for further guidance. The policy will be reviewed and evaluated from time to time. On-going review and evaluation will take cognisance of changing information or guidelines (e.g. from the Data Protection Commissioner, An Garda Síochána, Department of Education and Skills, Audit units (internal and external to the school) the C&AG, national management bodies, legislation and feedback from parents/guardians, students, staff and others. The date from which the policy will apply is the date of adoption by the Board of Management. Implementation of the policy will be monitored by the Principal of the school. This policy was adopted by the Board of Management of Rathnnure NS on 20th April 2015. Policy reviewed and ratified in 2018/19 and due for review during the school year 2021/22.